Being locked out of your car can be more than just a major annoyance. If you need to get into your locked car in a hurry, you could try a technique that is designed to offer real results. As long as you have a tennis ball handy, you should be able to solve your car lockout problem. It is time that you learned how you can use a tennis ball to unlock your car. This might seem impossible, but it is actually a technique that works. When you are going to use a tennis ball to unlock your car door, you are also going to need to have a sharp object like a knife handy. You need to prepare the tennis ball first before you can use it to unlock your car door. 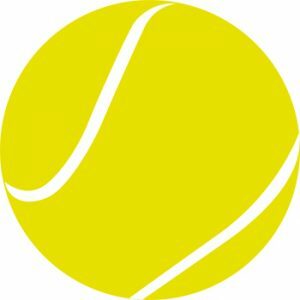 You need to prepare the tennis ball by cutting a small slit that is similar in size to the key entry on your door. This means that you will need to measure the keyhole on your door before you create the slit. The key to using a tennis ball to unlock your door is pressure. This means that you need to place the tennis ball over the keyhole on your door and then squeeze the ball to create pressure. You want to create a vacuum effect as you are squeezing a releasing the pressure on the tennis ball. You also need to be sure that you are rotating the ball as you are creating the pressure. This should enable you to open the door and release the tennis ball. It is a technique that has been proven to work, but it can be difficult to perfect. This means that you might give it a try, but there really is no guarantee that you are going to be able to unlock your car by just using a tennis ball. It is a technique that is great in theory, but it is not easy to actually do, This means that you should leave your car lockout problems in the hands of the pros. Calling a professional locksmith when you are locked out of your car is the better option than trying to use a tennis ball to open your locked car door that won’t open.